I get emails all the time with new artists, band requests, promo material and I write about some. I appreciate everything I get sent, make mix tapes/podcasts wth some tracks, and then sometimes, when something is really good, I give a post here. Child Bite is deserving of such a post as I'm in a non-stop repeat mode on the three tracks I've been given. It is said that "within caos there is order", and in turn, within Child Bite there is greatness. Whether it's the hectic drumming, the noisy fuzzed out sound, or the whirlwind of ever-jabbing guitar and keyboard stabs, the music that Shawn Knight, Zach Horton, and Danny Sperrry make is an avant-garde and surreal experience. Recorded in two days at Chicago's Phantom Manor, the eleven songs featured on the band's debut, Wild Feast, are loud punk hearts living in modern day glass houses. 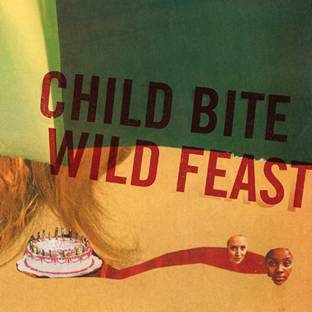 Below are three tracks from Wild Feast. Enjoy.